As winter is slowly moving in the city of Kolkata, Swissotel, the newest luxury address in Kolkata, which is just adjacent to City Center 2, has brought the famous "Punjabi Food Festival" at durbari(level 2), in their Indian themed restaurant just like last year. Think of Punjab and you can imagine its earthy lush green fields and robust lifestyle. 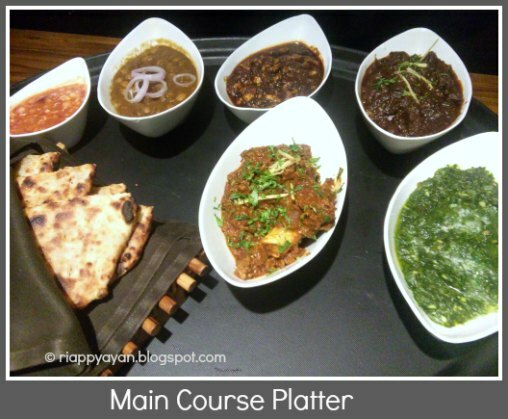 Punjabi food is also lot like Punjabis - rich, robust and full of life. Bold textures and hearty ingredients are what makes Punjabi cuisine so popular all across India and even outside India. I am a great fan of Punjabi food and when Swissotel invited us, my foodie group, Kolkata Food Bloggers, I just had to grab the opportunity to taste the authentic Punjabi food cooked by chef Gurmeet Singh from Amritsar. So me and my fellow KFBian Moumita of Peek n Cook has set off to experience this culinary journey from Kolkata to Amritsar. This year Swissotel had to organize this food festival again due to its immense popularity from last year and this year they have carefully crafted the menu with more varieties of mouth-watering vegetarian as well as non-vegetarian dishes than last year. Chef Gurmeet Singh, who hails from the heart of Punjab, Amritsar and has more than 15 years of experience in this profession. He is determined to give the people of Kolkata a taste ride of authentic Punjabi food which we can hardly get in this city but for that we don't need to travel to Punjab, as Chef has brought the whole Punjab to Kolkata. The Punjabi food festival has already started from 4th December and will go on till 14th December,'15. The timings : Mon-Fri, 7-11 pm for dinner and Fri-Sun, 12.30-3.30 pm. for lunch. There is also a special punjabi Brunch on 6th Dec.,'15. WE, KFBians were invited along with some other food bloggers from the city to preview their menu for the food festival. At the entrance, we were warmly greeted by the PR of Swissotel, Enakshi Kundu, the GM of Swissotel - Marco Saxer and the Chef Gurmeet Singh himself. 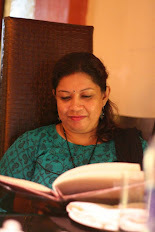 It was a pleasant atmosphere with like-minded people who all were food lovers. I always love to go to Swissotel because of their sense of hospitality and warmness. Especially, their attendants are very well-mannered. As we reached at Durbari, tables were set with punjabi papads with 5 different types of dips on the side and a glass of Punjabi sweet Lassi with a touch of saffron(kesar) on top. 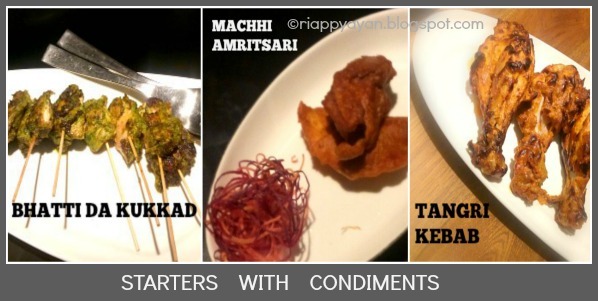 Then some conversation, we were served some of the dishes from STARTERS, one by one which had BHUTTE DA KEBAB(corn kebab), TANGRI KEBAB(tandoori chicken), MACHHI AMRITSARI and BHATTI DA KUKKAD like authentic dishes. All were just mind-blowing good in taste and look. Juicy and succulent pieces of meat were spiced and cooked to the perfection in traditional Punjabi Tandoor. After all these lip-smacking starters, it was time for the Main Course where I was just waiting for some authentic SARSON KA SAAG and AMRITSARI CHOLE to arrive. And they didn't disappoint me. The attendants brought a huge black tray full of 5-6 types of punjabi veg and non-veg dishes along with some AMRITSARI KULCHE and MAKKI DI ROTI. 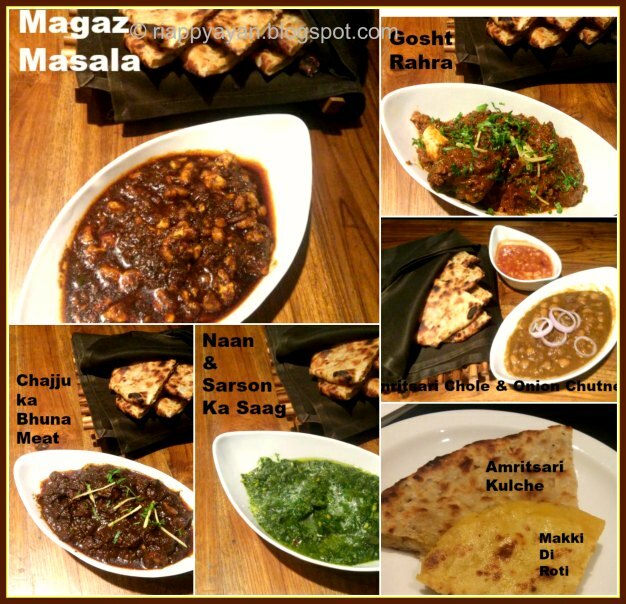 In there were SARSON KA SAAG, AMRITSARI CHOLE, GOSHT RAHRA(Lamb shank cooked in spiced gravy), CHAJJU DA BHUNA MEAT(Lamb on bone cooked on iron plate with onion and freshly ground spices) and BATTLEY DA MAGAZ MASALA(Fresh Lamb brain cooked with onion, tomato, and green chilli). All the dishes were lip-smacking delicious. Chole and Sarson da saag were superb. All the non-veg dishes were perfectly cooked and so different from the punjabi dishes we get here in dhabas, not over-oily or over-spicy, just perfect. We were not served any desserts from the festival menu, but we were lucky enough to get some DAL KI PINNI and BUGGA, two authentic sweets Chef Gurmeet brought all the way from Punjab. Both were out of this world. Also some complementary Swissotel special Nalen gurer ice-cream to finish this tasteful culinary expedition. 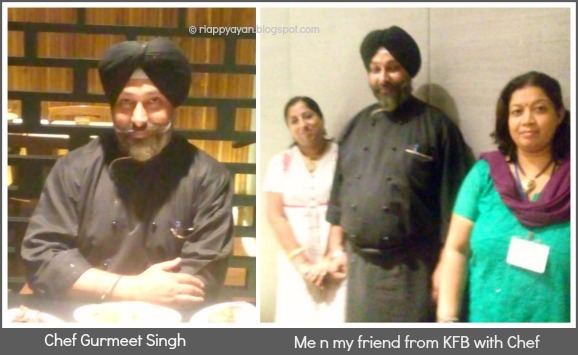 We, the happy soul finally ended the eventful day by taking some snaps with Chef Gurmeet Singh. This year, Swissotel and Chef Gurmeet Singh have designed the menu with authentic dishes from every region of Punjab in every category, from starter, soup till dessert. I was just surprised to see the menu, one will be spoiled for choices. One or two visits are not enough to experience this culinary expedition. Some of the dishes name, many of us have never even heard of. Here in Kolkata we hardly get to taste authentic Punjabi food. Therefore, if you want to know what an authentic Punjabi food taste like, this is your greatest opportunity. 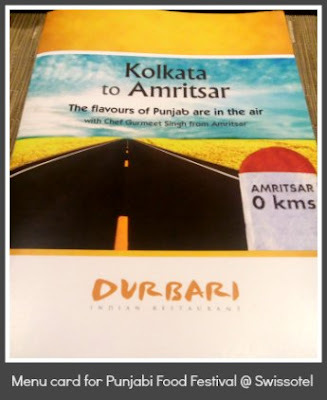 I'll recommend everyone reading this review and to my friends to hop over to Swissotel, Durbari where they are truly celebrating the culinary journey from Kolkata to Amritsar, only thing is you don't have to travel much. 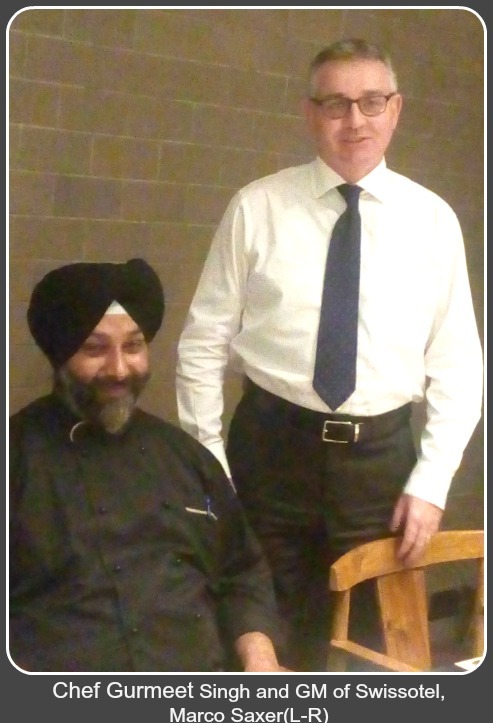 Finally, I want to thank Chef Gurmmet Singh and Swissotel for giving us the opportunity to taste something so authentic.